We are looking for an experienced technical sales consultant that will be responsible for the sales activities, from new business to close of sale. Their focus will be customer satisfaction, and revenue generation while working from within the sales team. The values and vision of our company will be evident in your work. Use sales skills to recommend the various solutions this company offers to solve business issues. Candidate must demonstrate knowledge of the product, technical selling skills, ability to hold a business conversation, as well as the ability to gather and submit detailed business information. Work with sales manager to develop annual sales business plans to meet or exceed sales quota. Maximize market share by maximizing all opportunities in the process of closing a sale. Telephone Canvassing, Face to Face cold calling, direct mail and networking, generate referrals- all to build a database of qualified leads. Effective in successfully gaining- client relationships, a positive reputation in industry, and referrals. Business ethics, team work, organizational/ planning, presenting product, and participation are must have skills. Ability to build strong relationships, be trustworthy, and have credibility are all important characteristics to this position. Must have Bachelor’s Degree- *Engineering (or technical field) degree preferred . 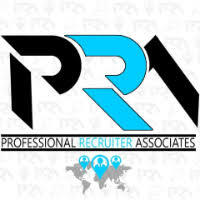 For immediate consideration, please forward a copy of your current resume to info@profrecruiters.com referencing job #1491 or a link to this job.